One of my favorite singers, relatively new to the scene and I see her whenever she comes to town (or up north or even Chicago). She talked about people traveling from Ann Arbor to see her (and vice-versa) and was excited by the response. I’ve driven to Chicago to see her and it was worth it! This was my third time seeing Brandi and I’ll go again next chance! Back to her music. Some of her more passionate songs just totally get inside me. It wasn’t just me, you could see some were affecting other people too, I don’t know exactly what it is. But a couple really got to me, especially Hallelujah at the end. This is just a test of a flickr format…. What an excellent show! You’re missing out if you’re a fan and didn’t make it!! 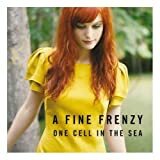 I know I’ve mentioned it a few times already but Brandi Carlile and A Fine Frenzy are going to be at St. Andrews Hall in Detroit this Sunday. Tickets are only $20 so you should check it out, I’m thinking there won’t be any at the door, this concert has been selling out all over. It’s a nice small venue so if you’re thinking of going then you better get your tickets. Brandi Carlile’s new video for Turpentine is out. Is it proper to say “their CD” when I just purchased the tracks from the iTunes store and listen on my iPod or Treo? When Brandi Carlile is in Detroit (October 14, 2007) she’ll be playing with A Fine Frenzy. I’m not really familiar with them but their You Picked Me is the Free iTunes song of the week this week (until August 20, 2007) so check them out. The free song is and I like it the few times I’ve tried it so give it a free download! And if you turn on iTunes Plus it looks like it comes without DRM copy-protection so (maybe?) you can put it on some other music players. Actually, most of their music at iTunes is DRM-free and inexpensive ($7.99 for a fourteen track album or $1.99 for a three song EP) when you consider the higher quality DRM free versions are $1.29 a song. So right now I’m on the S.S. Badger heading over to Wisconsin so that tomorrow I can go to Lincoln Park, IL to see that Brandi Carlile / Indigo Girls concert I mentioned a few weeks ago. I’ve been bouncing around up north for the last few days and now I’m taking the ferry from Ludington to Manitowok. The ship is huge, they were unloading semi-trucks and busses in addition to all the cars. It was very impressive watching it come into the dock. Please note from this photo the the square shape on the left side of the cargo hold is a huge bus. 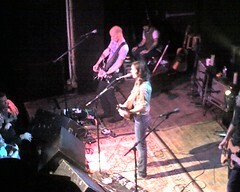 We went to see Brandi Carlile last Friday in Ann Arbor. She was at the Blind Pig and as always the small venues are always better, IMHO. The opening act was Penumbrae and they’ll get a separate post later. She was great, when she first walked out I thought she looked really young (I had thought she was in her mid-20s) and thought I had her music mixed up with someone else’s but once she started playing she was who I thought (she did reveal later she was 25 and she did look older later on…). She was excellent! She played a lot of different types of music, on her CD there is a song or two that has a hint of country and that come out in a few of the songs. 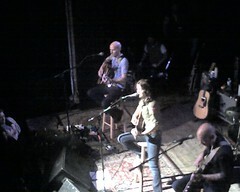 She did a few acoustic and some with the band (four guys). I only knew her by name because they were playing her at Barnes and Nobel and I checked out what her name was. I knew I had to have heard some on TV or a movie (I was actually thinking a WB-type show), turns out she had three songs on Grey’s Anatomy last season (Tragedy, Throw it all Away and What Can I Say). was performing and signing autographs). The concert was non-smoking which was great (it was by request of one of the bands). It was pretty cool in there (until the end of the evening) considering the heat outside Friday. Some of the people at the concert were load to the point of being rude, that’s one of the problems with inexpensive tickets some people just don’t value the experience. PS – The just re-released her eponymous album with two bonus tracks (and I think new versions of two other songs) so if you get it be sure to look for the one with more than 10 tracks. Friday, June 16th Brandi Carlile is in Ann Arbor. It’s only $12 so you can be sure I’m going to be there. It’s at the Blind Pig and tickets are $12 (plus any fees; I think I paid $33.20 for 2) and it’s open to all ages. 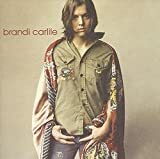 The opening act is Penumbrae and doors open at 7.
http://GarySaid.com/tags/brandi-carlile/ generated Tuesday, April 23rd 2019 at 12:51:32 pm EDT (in 142 queries in 0.855 seconds).